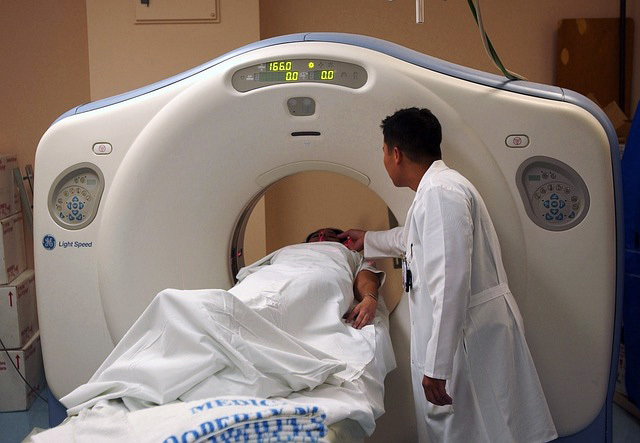 Getting a CT scan is an experience that doesn't have to get you stressed. 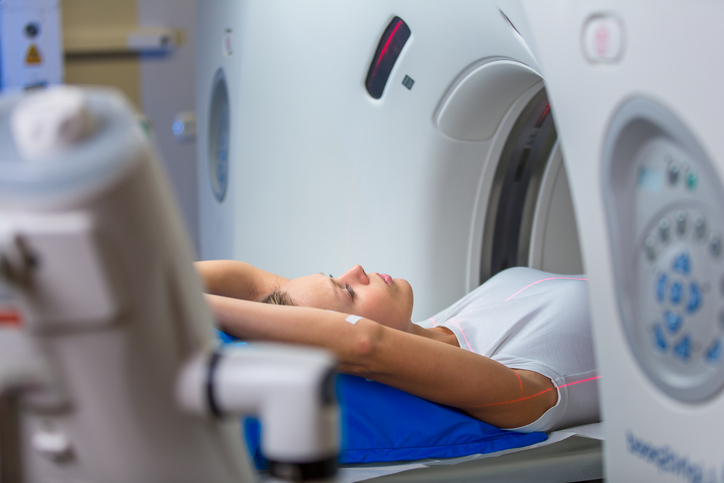 A CT or CAT scan or exam is something a doctor may order for you and here's the good news - the overall procedure itself is painless and has little to no side effects. While the idea of it may cause some people a little anxiety or claustrophobia, the actual procedure itself is easy and relatively quick. Overall, most CT tests themselves usually take anywhere from 30 to an hour and a half. CT exams are usually done as an outpatient procedure and are now available at various different types of facilities that are accredited or qualified. 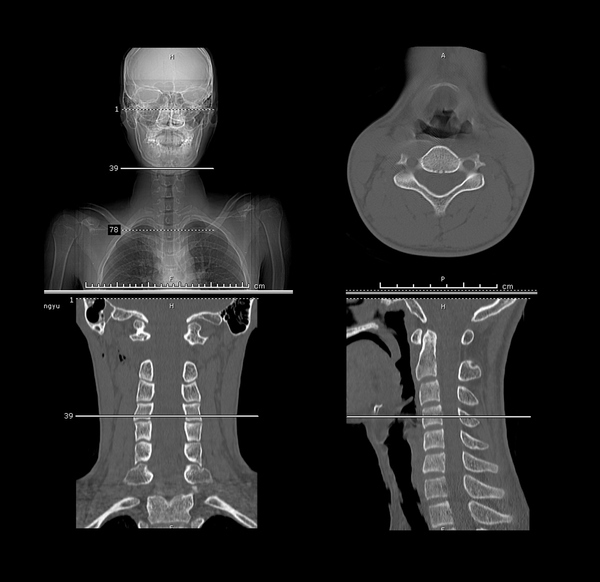 ABOVE: Cervical spine CT in coronal, sagittal and axial views. ABOVE: Patient with GE Light Speed CT scanner.